This web site/business portal is produced by Angelinas Cards & Paper Boutique. 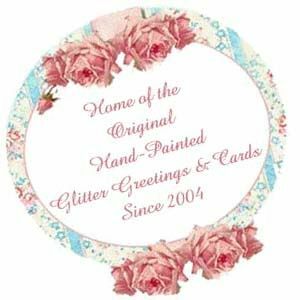 All greeting card designs are handmade/custom designs may not be reproduced, copied or partially copied without written permission of Angelinas Cards & Paper Boutique. The contents of this web portal are to be used as a greeting card catalog for e-business purposes. All content, including site design, text, and finished graphics and cards and tags are the property of Angelina's Cards & Paper Boutique and are protected by international copyright laws. All rights are reserved. Please seek permission if you want to use any material for whatever purpose. Our policy is to be as helpful as possible. Angelina's greeting card & paper creation designs may not be reproduced without authorized permission. Violation of this legal disclaimer will result in legal action in order to protect the rights and property of Angelina's Cards & Paper Boutique.